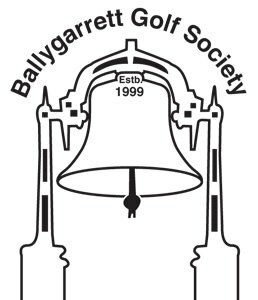 The name of the society shall be ‘Ballygarrett Golf Society'. The general management of the society shall be vested in a committee, which shall consist of, a Captain (chairman), a Secretary, a Treasurer, Assistant Treasurer, a President, Vice Captain and one other member elected at the AGM. The above-mentioned Secretary, Treasurer and Assistant Treasurer shall be elected for a term of one year. The Captain shall be nominated by the outgoing Captain. Outgoing Captain shall automatically become President. Members may be co-opted onto the committee should a vacancy arise. Ordinary meetings of the committee shall be held at least every two months. At least five members of the committee must be present to form a quorum. At all meetings of the committee a simple majority shall decide matters. The Captain/Chairman (Vice Captain or Vice Chairman in the absence of the Captain) shall have a casting vote only. The Annual General Meeting shall take place during the Month of October. Extraordinary General Meetings may be called at anytime by the committee or by a written request to the Secretary, signed by at least 12 members stating the nature of the business to be considered. Notice of EGM's must be 14 days in advance. A two-thirds majority must approve constitutional amendments. Written requests for amendments to this constitution must be given to the Secretary, for consideration by the committee, at least five days prior to an AGM or EGM. Membership of the society shall be limited. The maximum number of members allowed will be decided by the committee. Applications for membership must be made on the appropriate form and presented to the committee for consideration. Any member, who fails to pay his subscription within one month of the ‘due date ‘the' due date being one month after the holding of the AGM, shall cease to be a member of the society. If the conduct of any member of the society (whether on or off the course) shall in the opinion of the committee, be injurious to the interests of the society, the committee shall have the power to take whatever action they deem necessary against the said member and notify him in writing, the member shall have the right to appeal within 14 days to the committee. The full committee must decide appeals. Members who wish to invite visitors may do so with the prior approval of the Secretary or the Captain. Only those members who have played in 2 of the current year's outings shall be eligible to win the Captains or President's Prize. In competitions the Captain and the members of the committee shall decide any disputes and their decision will be final. Handicaps shall be adjusted after each outing and at the discretion of the committee. It is the obligation of each and every member to practice correct golf etiquette at all times. No member shall hold any other member responsible for any loss or injury while participating in any of society activities. Membership of the society shall be conditional of acceptance of the rules and constitution.